If you have taken an autosomal DNA test at 23andMe, you know you have health related information available as well as family history information. It is this dual approach of enabling us to read the information in our cells that drew many of us to 23andMe. Gene by Gene, the parent company of Family Tree DNA (FTDNA) also explores health information but through other subsidiaries. This business model can give a clearer focus on two sometimes disparate customer bases. The segregation of FTDNA from the health related activities of its parent company was in part a calculated strategy to protect direct to consumer (DTC) genealogy tests from the regulation of the Food and Drug Administration (FDA). 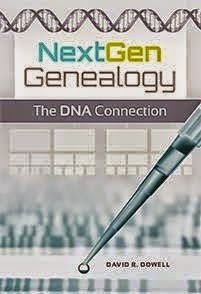 As late as a couple of years, it looked like DNA testing for genealogy might get swept up in a push to keep DTC DNA kits from being sold at Walgreens. Some of you remember the aborted attempt by Pathway Genetics to sell kits over the counter for $20 back in 2010. The analysis of your spit was to cost extra. By the time the FDA finished "‘discussing’ legal issues with Pathway Genomics", the project was shelved. These discussions included whether or not the kit should be considered a "medical device" and therefore falling within the purview of the FDA. In June of this year the Myriad Genomics case was decided by a strangely unanimous Supreme Court. Did this make our genes free at last? Not so fast. Myriad was quickly back in court. The company's new legal thrusts were chronicled a few days ago by The Legal Genealogist. Dr. D is in complete agreement with every comment Judy Russell made in that well reasoned post. BRACAnalysis testing is widely reimbursed by private insurance companies, Medicare and Medicaid. As a result of the Affordable Care Act, the vast majority of at-risk patients can receive BRACAnalysis testing with no out-of-pocket costs — meaning no co-pays or deductibles. Somehow it doesn’t sound any better to me for Myriad’s artificially high prices to be paid for us by Medicare, Medicaid or our private insurance. Indirectly, this is paid by all of us. Those of us who have spent considerable part so our lives on the West Coast know that when there is a large seismic event, it is followed a number of aftershocks before a new equilibrium is achieved. Such is true in the legal world as well. All this legal wrangling is about much more than BRAC1 and BRCA2. It is about all the right to read all the medically significant information in our cells. Did you know that you may already have health information available at FTDNA also? You do if you have had the full mtDNA test. This is why, with an abundance of caution, FTDNA does not automatically disclose to project administrators the detailed results beyond the HVR1 and HVR2 levels. Although our mitochondria have not yet been determined to carry much health related information, they do give important indicator about one fairly rare condition -- aminoglycoside-induced deafness. Some widely prescribed antibiotics can cause deafness -- often permanent in patients who carry the A1555G mutation. Research studies often exclude this gene from their panels because of the patents claimed by Athena Diagnostics. This includes large scale studies to correlate patient outcomes and drug reactions such as Vanderbilt's PREDICT project in which Dr D and his wife are participants. Recent studies in China suggest that a C1494T mutation in the mitochondrial 12S rRNA Gene also play a role in maternal inherited aminoglycoside-induced deafness and also hypertension. If you have the results of full mtDNA tests, you already have been tested for these mutations. The future of you health and its cost may be affected by the current legal battles. I urge you to inform your self and defend your right to read your own genes at a reasonable cost. Join the Free my Genes movement!